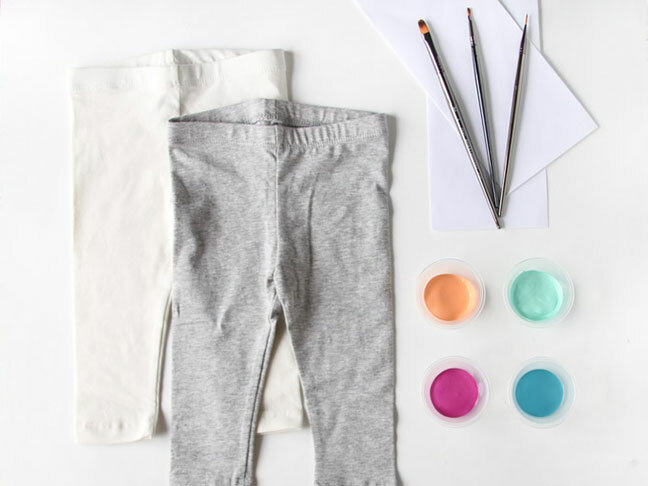 Give inexpensive leggings and pants for infants and toddlers a boost with this DIY painted leggings idea. 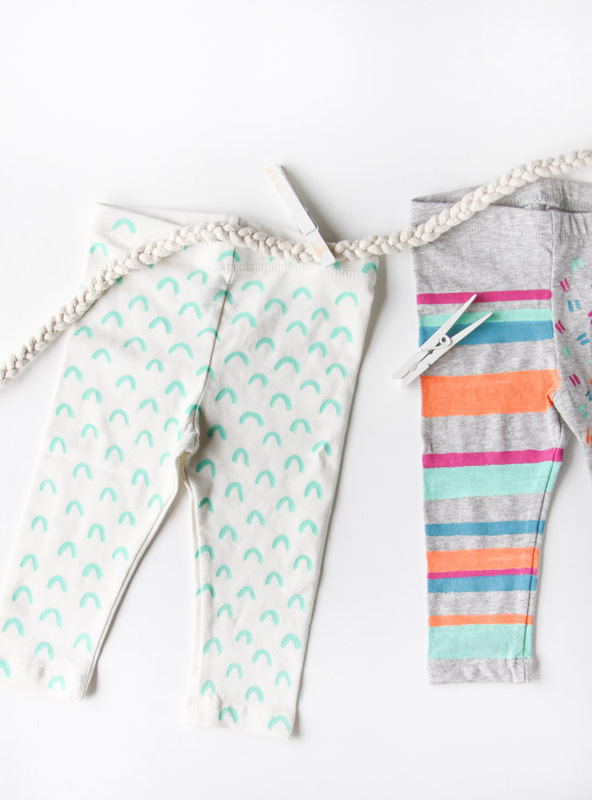 This project is a great way to add some personality to a plain pair of leggings or pants. And it’s also a good solution for covering up stains that make clothing items otherwise unusable. 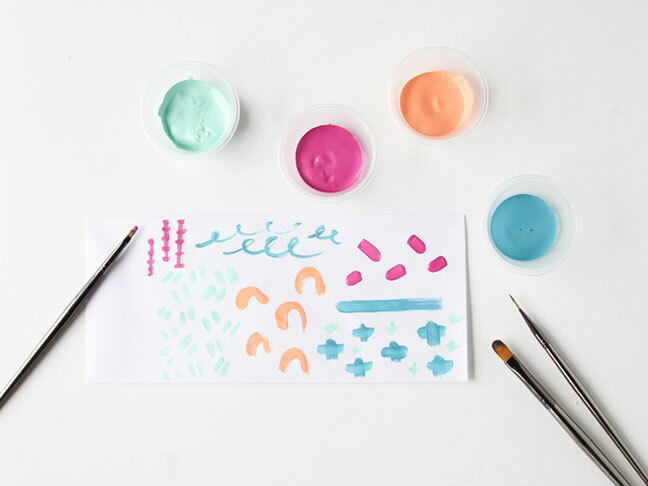 Step 1: Start by sketching a few patterns onto a scrap piece of paper in various colors. 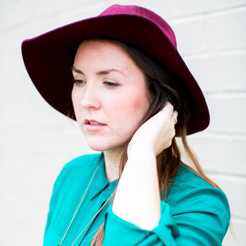 This will give you a better idea of the style and color scheme that would go best with your leggings or pants. Step 2: Then, it’s time to start painting. I decided to go with a multi-pattern pant option. So, I painted one leg at a time, in different patterns. The first pattern I created was abstract dashes. This process is as simple as creating two short lines close together, in random spots, across the entire leg. 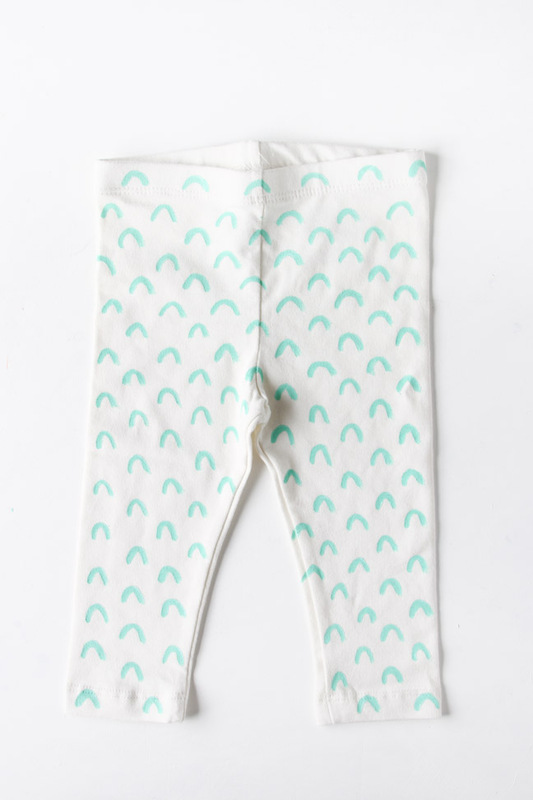 Step 3: Continue this process of randomly placing dashes all over the pant leg, in various colors, until filled. 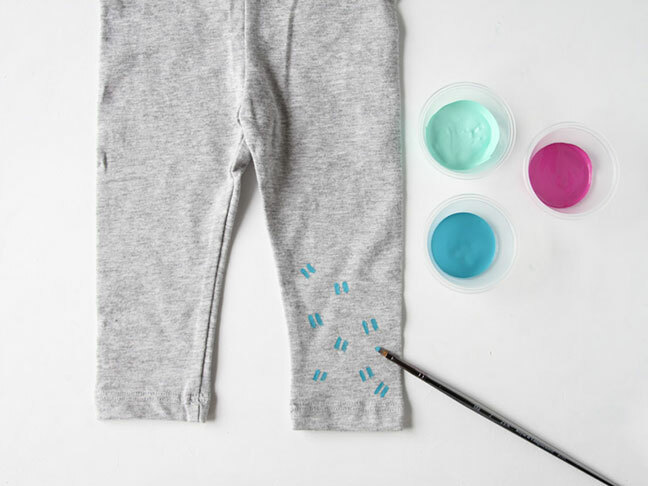 Once dry, flip over and paint the back of the pant leg in a similar pattern. 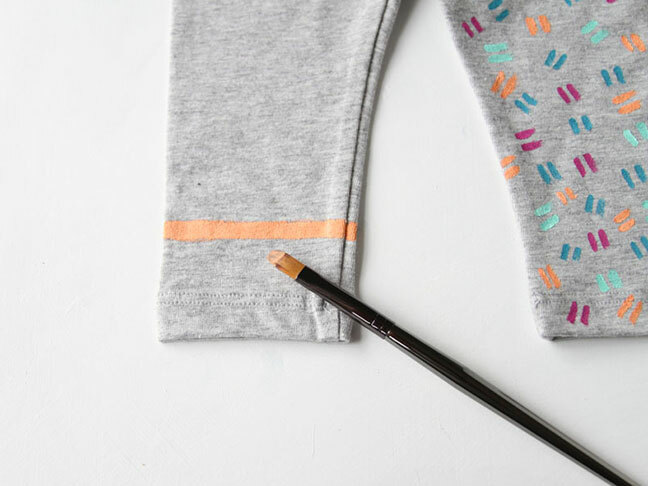 Step 4: On the other leg, create an easy striped pattern with various colors, by pulling the larger of your brushes straight across the leg, in one long motion. 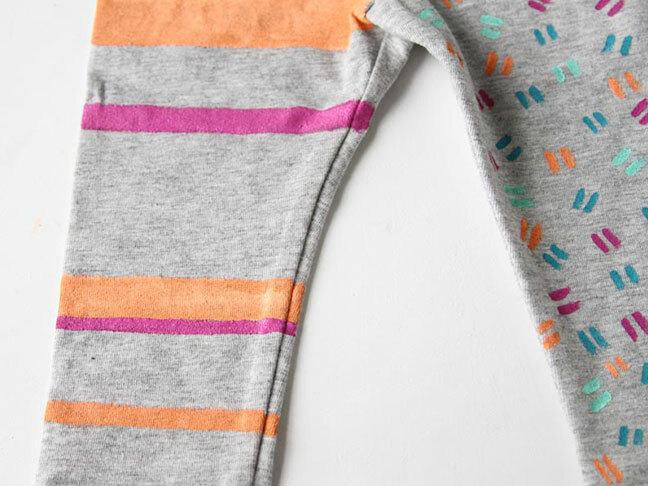 Build up the layers of stripes in various colors and let dry. 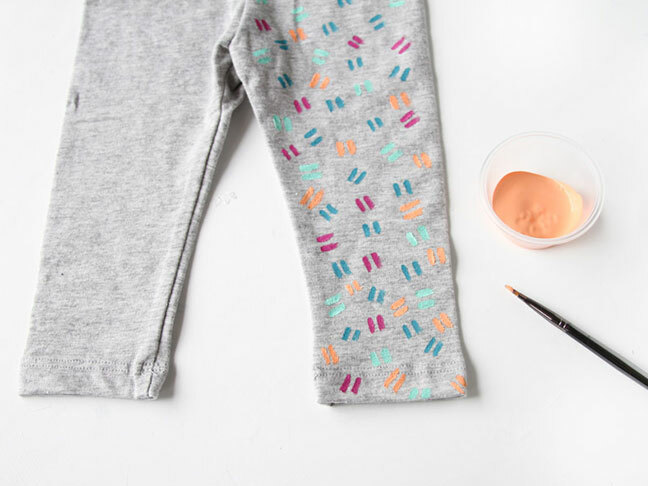 Once dry, flip over and paint the back of the pant leg in a similar pattern. 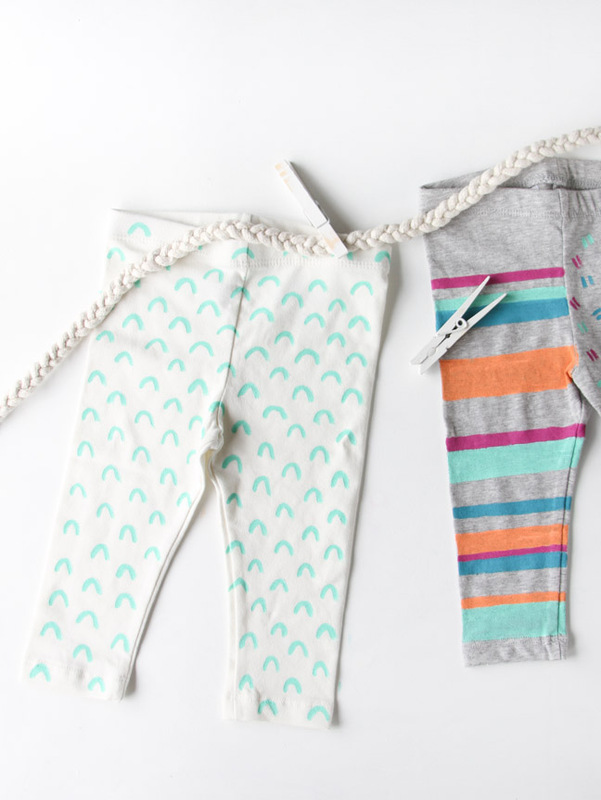 As another pattern option, you could also create an easy upside down horseshoe shape, in one color, by spacing each shape out evenly from the next, until the pants or legs are completely covered. Use this painting technique for other clothing items too, like dresses, tees, and tanks.